Podiatry practice in Walnut Creek and San Leandro, CA. 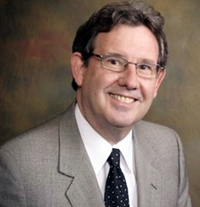 Dr. Taylor has been treating patients in Walnut Creek since 1985 as a Podiatrist & Surgeon. In 2007 he opened a second practice in San Leandro. Dr. Taylor is Board Certified & has a good bedside manner, is kind & takes time with each patient to explain & treat their condition. He treats a variety of foot, ankle & toe conditions: Ingrown toenails, toenail fungus, broken bones & fractures (X-ray machine on site), Plantar Fasciitis, Sports injuries, Wound care management, Achilles Tendonitis, Hammertoes, Bunions, Flat feet, Diabetic foot conditions, Neuropathy, Painful feet, Ankle Sprains, Neuromas, Gout, Corns, Calluses and much more. The office has over the counter and custom products for purchase to add comfort & relive pain: Orthotics, pads, cushions, insoles, lotions etc. Dr. Taylor strives to provide the best possible foot care to his patients. Dr. Taylor recommends shoes and custom orthotics to patients based on their foot needs. Orthotics are a very good, conservative options with a high success rate. Medicare will cover the cost of one pair of diabetic shoes and inserts for people with diabetes if you have a medical need for them.